I have grown Clematis uncinata now for about 30 years and the seeds came from a plant on the front of Myddleton House. Enfield, Bowles' old garden. I was given seed by the then head gardener. It is a rampant evergreen from China and rather like something between C. armandii and C. vitalba. The leaves a attractive and even have marbling in then at their early juvenile stage but this is short lived. The fragrant flowers are very like C. vitalba which I suppose could be a bit of a disappointment except they are really quite fragrant and born in their masses. To my knowledge it grows to over 10 meters and is long-lived. It is still relatively rare in cultivation. I suspect that it would do well in the right place in the Med. Horticulturist, photographer, author, garden designer and plant breeder; MGS member and RHS committee member. I garden at home in SW London and also at work in South London. Clematis campaniflora grows easily from seed. It is a southern European (from Portugal), much less showy than its more familiar relation Clematis viticella, but does have a modest charm. Its small very pale blue flowers are not so bell-like as its Latin name implies. Although it grows very strongly indeed in damp conditions and good soil, drought and poor soil keep it to a more manageable size. 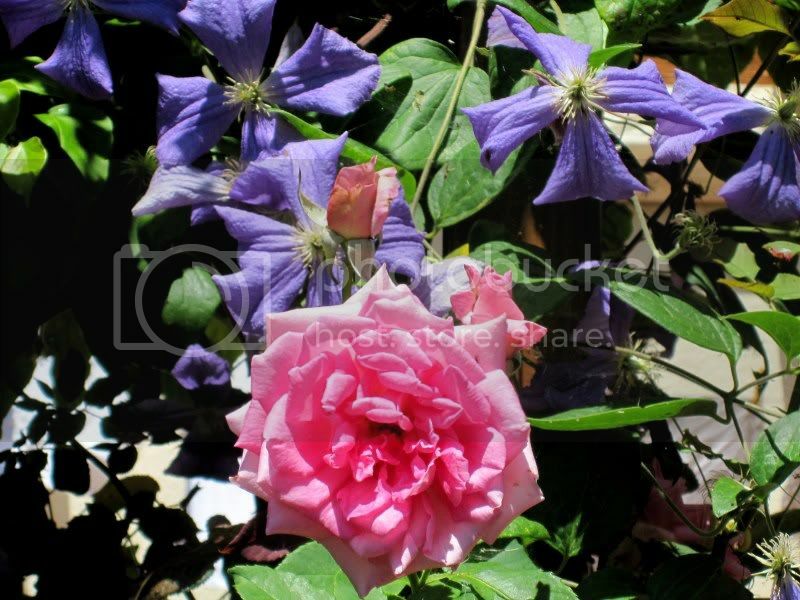 Clematis integrifolia is not strictly speaking a climber, more of a scrambler. It is herbaceous, and grows well as cover for a fence, growing to a maximum of two or three metres. It tolerates dry conditions but does need occasional deep watering and would probably not succeed in hot gardens, unless in a shady relatively moist spot. Its flowers are slightly fragrant. It comes easily from seed, and is quite variable. The picture shows one we grow, with wavier-edged flowers than usual; our seed was originally said to be of a form of Clematis crispa found in Texas, but in that species the sepals are joined together forming an urn, and in this they are entirely separate, so I believe it to be of a good form of C. integrifolia instead - I'd be very glad to hear from you if you disagree! Yes it looks like a form of C. integrifolia to me. I crossed C. 'Jackmanii' with an form of C. viticella and grew on 4 seedlings all of which are similar. As C. 'Jackmanii' has C. viticella in it's blood it was not surprising that they look like C. viticella but are rather nice if nothing special. I forgot to mention that it was growing in a mixture of Itea ilicifolia and Vitis vinifera 'Purpurea'. I find my clematis behave very differently here than they did in England. This is to be expected of course. Whereas in England, my viticella clematis always started flowering around or after Midsummer Day, and continued into the autumn. Here they start flowering very early in Spring and stop in July. Then they can start again in the autumn and continue until Christmas. This year however, only Clematis Perle d'Azur had budded up again. That is until dear Alkis, who is laying the paths and steps for me, broke the main stem with his wheelbarrow!!! 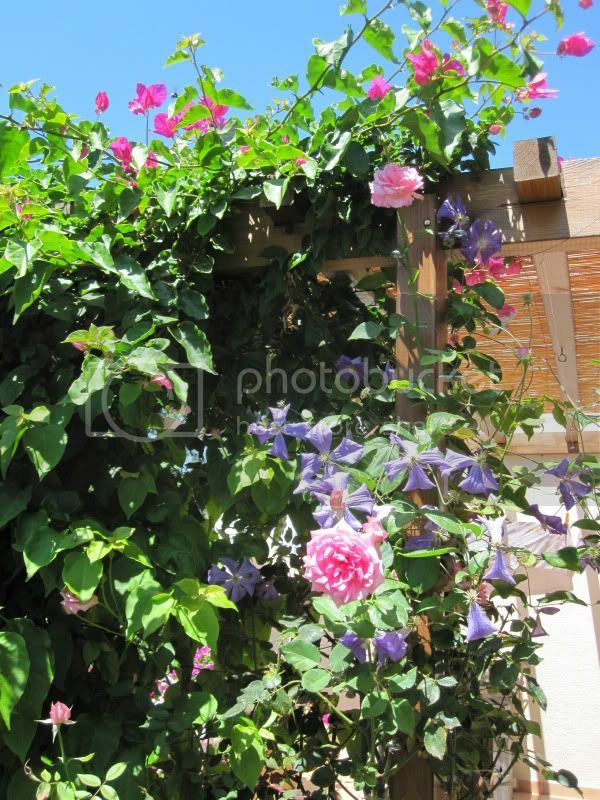 Here it is earlier this year, with climbing rose Colombian Climber. Clematis cirrhosa is at it's height of flowering in London just now. Clematis flammula from western Attica in flower now. There is some confusion distinguishing between C. flammula and C. vitalba. The former has fragrant flowers, smaller leaves and somehow more delicate flowers. The seeds are different too. The latin word flammula is equivalent to "little flame" and indeed this marvelous plant produces masses of pure white fragrant flowers. 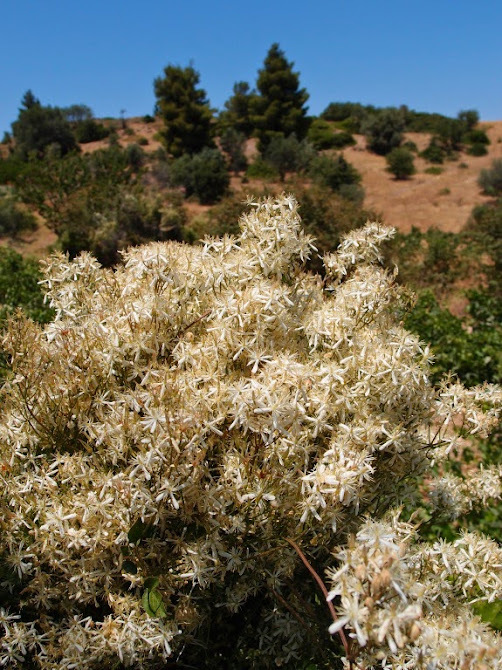 As it can be found in excellent shape in hot Attica in Pinus halepensis clearings -maquis and edges of vineyards [together with other interesting plants like Acanthus spinosus], I believe that it could be an outstanding addition to the mediterranean garden! A lot of interest for the mediterranean flora and for the water wise gardening â€“but no garden yet. Wonderful photos Bolanthus - how easy it is to fail to appreciate flowers such as these that grow in the countryside around us and are really garden worthy. I often recommend Spartium junceum to people seeking advice as to what to put in their Mediterranean gardens and often receive a thumbs down because it is so prolific in the wild. Interestingly I noticed the other year the stunning effect of Spartiums intertwined with one of the clematis you discussed (not sure exactly which one but will try to learn now!) I have copied this planting in my garden and am well pleased with the result.White Valerian underplanting adds to the effect. Two other plants which are overlooked in the garden are Jasminum fruticans and Aphyllanthes monspeliensis which occurs in stunning blue drifts on the garrigue. I have gardened in sub-tropical Florida, maritime UK, continental Europe and the Mediterranean basin, France. Of the 4 I have found that the most difficult climate for gardening is the latter. Bolanthus saw Clematis flammula in flower in July and a couple of weeks ago (in November) I saw it between Kalamata and Stoupa in the Peloponnese just going past its best. Flowering time may depend on a variety of circumstances. Just to confirm this variation in flowering time at least of the species C. flammula and C. cirrhosa this is the same C. cirrhosa I posted last year flowering in the spring and here it is flowering at its peak last week! 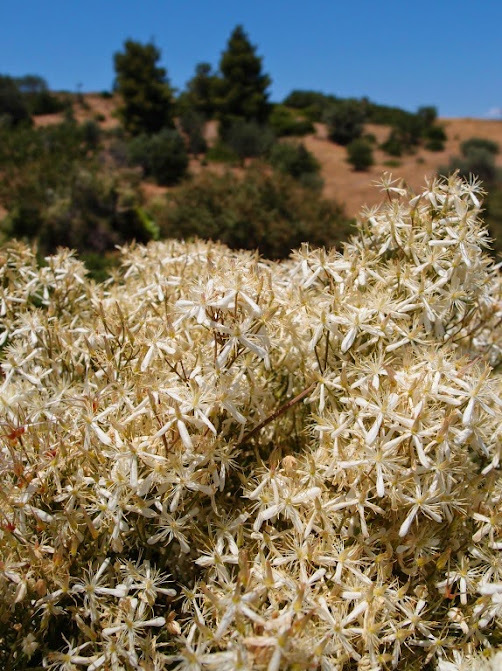 In the Peloponnese C. cirrhosa was just starting last week.